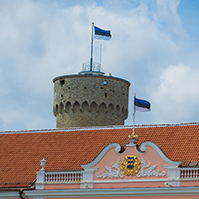 On Thursday, the “Petitions Bill” passed the second reading in the Riigikogu. It improves the opportunities of the Estonian people to have their say in democratic decision-making processes. In current Acts, the procedure for replying to the inquiries of individuals is regulated, and the referendum as such is regulated through the Referendum Act, but there is no intermediary link, or the procedure for making a group proposal and dealing with it, i.e. there is no regulation of “collective appeal” or petition. 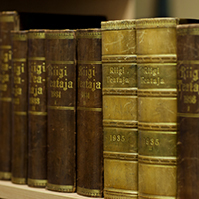 The Bill on Amendments to the Response to Memoranda and Requests for Explanations Act and the Riigikogu Rules of Procedure and Internal Rules Act (518 SE), initiated by the Constitutional Committee with the aim of legalising public initiative, regulates the procedure for submitting a collective appeal to the Riigikogu and proceeding with it. Pursuant to the Bill, at least 1000 supporting signatures will have to be collected to submit a collective appeal to the Riigikogu. 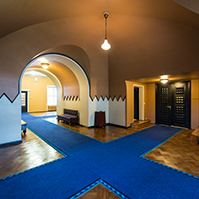 Provisions concerning the procedure for dealing with collective appeals will be added to the Riigikogu Rules of Procedure and Internal Rules Act. The Bill was prepared as a response to the proposal to legalize public initiative, made by the People’s Assembly which was convened by the President in the end of 2012. The Constitutional Committee had discussed the preparation of the second reading of the Bill at sittings on 21 and 27 January, with participation by representatives of the Ministry of Internal Affairs and the Ministry of Justice. Programme Director of e-Governance Academy Liia Hänni and Expert of Governance and Civil Society Programme of Praxis Center for Policy Studies Hille Hinsberg had also been involved. The motions to amend the Bill, supported by the Constitutional Committee, passed the plenary sitting on Thursday. So the Bill provides now that the Committee invites the contact person set out on the appeal or his or her representative to explain the appeal at a Committee sitting. The Committee supported by consensus this motion to amend submitted by the Social Democratic Party. The Committee also changed the definition of a permanent resident in the Bill. A permanent resident is a an Estonian citizen residing in Estonia or a citizen of a member state of the European Union or the European Economic Area or a citizen of the Swiss Confederation residing in Estonia who has a permanent right of residence, or an alien residing in Estonia who holds a residence permit of a long-term resident or has a permanent right of residence. The Bill provides that, within 30 calendar days, the Committee makes a decision regarding the acceptance of the appeal for proceedings, and not a decision regarding the appeal in general. It also provides that the Committee discusses an appeal within three months as of the acceptance of an appeal for proceedings, and the Committee may partially or fully agree or not agree with the proposal presented in the appeal. In addition, the notification obligation of the Committee is added to the Bill, providing that the Committee notifies the contact person or persons set out on the appeal of the position that the Committee has taken with regard to the proposal. According to the motion to amend, the Committee may forward a proposal made by a collective appeal to a competent institution for adopting a position and for resolution. At the proceeding of the Bill on Thursday, the Social Democratic Party Faction moved to suspend the second reading. 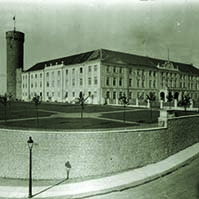 At the voting, 18 members of the Riigikogu were in favour of the motion and 47 were against, so the motion was not supported and the Bill passed the second reading. 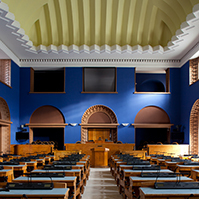 Chairman of the Constitutional Committee of the Riigikogu Rait Maruste, who spoke in the rostrum of the Riigikogu of the preparation of the second reading of the Bill, also explained the discussion that had been held in the Committee as to whether the number of signatures of a collective appeal should be 500 instead of 1000. “The Social Democrats suggested that it would be enough if 500 supporting signatures would be collected to such a collective appeal. A kind of brief discussion took place. It was recalled that this 1000 is an estimated amount which we had disputed during the first reading. Mart Nutt recalled us that it is an agreed amount, and we found that it is optimal as such,“ Maruste said. Maruste added that Liia Hänni who had been invited to the Committee had found that, in an electronic environment, there is no significant difference whether 500 or 1000 signatures are collected, and rather it is a matter of the social influence of the signatures. As no agreement on this issue had been reached in the Committee, the number of signatures had been put on a vote. With a result of 7 in favour, 2 against and 1 abstention, the Committee had found that the number of supporting signatures should be 1000 and, should the need arise, it can be changed later. Member of the Riigikogu Neeme Suur took the floor during the debate. 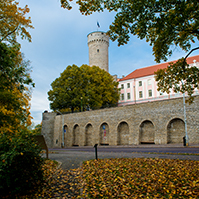 The Riigikogu passed the Act on on Amendments to the Railways Act and Amendments to Other Associated Acts (482 SE). The Act brings the wording of the Railways Act into conformity with the relevant European Union directives. The terminology of the Railways Act was specified. Instead of the safety certificate of the safety management system and the operational safety certificate, a safety authorisation will be granted to railway infrastructure managers, and a safety certificate will be granted to railway undertakings, and operational safety certificates will be granted in the case of a non-public railway. In replacement of “railway collisions”, “railway incidents” and “accidents”, the terminology of the directives is implemented: accidents, serious accidents and incidents. At the same time, the duties and rights of the Technical Surveillance Authority and the Safety Investigation Bureau within the framework of supervision proceedings were specified.